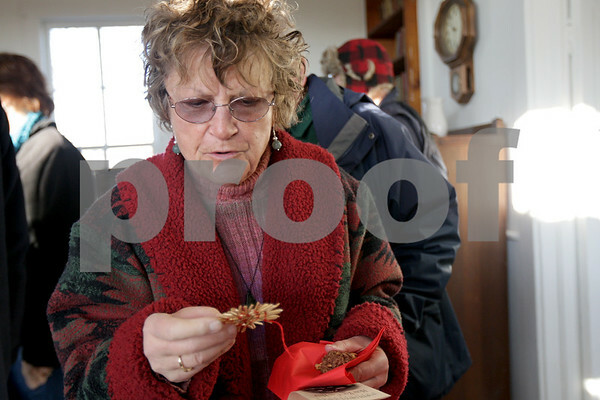 Janice Abizaid admires a handmade straw ornament at the holiday open house at the Old North Grove School in Sycamore on Saturday, November 30, 2013. Abizaid attended Brush School, also a one-room school, in DeKalb as a child. Brush School has since been moved to Burlington.